Are You Taking Unsafe Prescription Drugs? | Don't Delay, Call Clay! Personal Injury Attorney > Class Action > Taking Unsafe Prescription Drugs? 05 Jun Taking Unsafe Prescription Drugs? Are You Taking Unsafe Prescription Drugs? Excuse us for peeking inside your medicine cabinet, but you may be taking unsafe medication. Many medications prescribed by doctors may be harmful to you and your family. Medications such as Estratest, used for hot flashes, or Hylira, a gel prescribed for dry skin, are examples of the thousands of medications that are not approved by the FDA, but commonly prescribed by doctors. The U.S. Food and Drug Administration regulates both prescription and over the counter medications. Doctors prescribe about 70 million drugs each year that are not FDA approved! Many of these drugs can be found in pharmacies. Surprisingly, health insurance providers cover many unapproved medications. Many medications can appear to be FDA approved with misleading packaging and names. Some are even found in the Physicians’ Desk Reference. A drug company can market copycats of drugs that are FDA approved. If a company submits the data of a drug’s effectiveness and safety, under federal guidelines, this practice is legal. However, because the FDA is so overloaded, many companies get away with never submitting their data. Thankfully, this is changing. The FDA began an initiative to remove unapproved drugs from the market if they do not comply with regulations. Recently, the FDA banned dangerous, unsanctioned medications. One example is cold medicines with the ingredient, carbinoxamine which is linked to the fatality of 21 children. Another dangerous product that was banned because of its association with 93 deaths is quinine, used for leg cramps. Ergotamine tartrate for migraines was banned because it had no warnings that drug interactions are potentially fatal. Another drug linked with 23 fatalities when used for back pain intravenously, called colchicine, was also banned by the FDA. “Some drugs, such as phenobarbital for seizures, may be medically necessary,” says Deborah Autor. As director of compliance of the FDA Center for Drug Evaluation and Research, she says that because of their necessity, not all unapproved drugs can be pulled off of the market. Estrogen plus testosterone are popular pills marketed as remedies for hot flashes. These are unapproved, but still available with 1.8 prescriptions by doctors in 2008. In 2003 the FDA found that there was little evidence that the cocktail of hormones actually works. It also may increase the risk of depression, liver damage, and breast cancer. Unsafe prescription drugs can cause irreparable harm and have long lasting side effects. 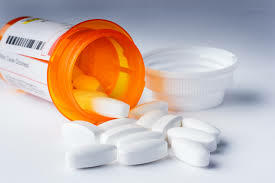 If you have been injured by a medication you may need a class action attorney. Call the Law Offices of L. Clayton Burgess to schedule a FREE case evaluation.